It is no secret that the coffee industry has not been kind to coffee growers. In fact, in Central America many coffee growers do not earn a livable wage and coffee pickers often earn less than half of the national minimum wage for their country. If coffee is a $5.18 billion industry in the United States alone, then why do most coffee farmers live in poverty? Why is the business of coffee so unfair to the coffee grower? How is Direct Trade different? 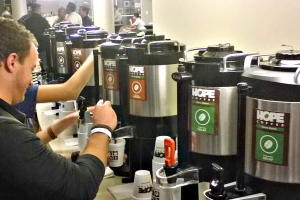 What makes HOPE Coffee different? Even while living in a land rich with resources, most coffee farmers and pickers live in poverty. Every year at harvest time the coffee farmer will hire pickers to come gather the coffee cherries from the trees. The pickers’ wages must be paid before the farmer discovers what he will earn from the year’s crop, and long before he actually receives the payment for his beans. Unfortunately, most farmers do not have the ability to pay these wages from their own savings, which often means taking loans from local banks with extremely unfavorable interest rates. 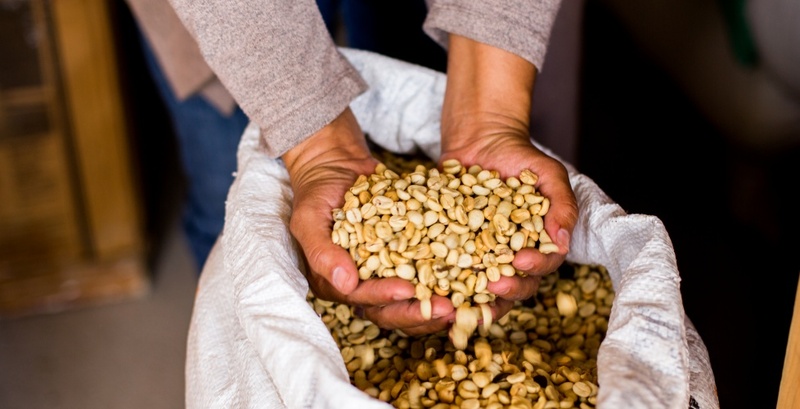 1.They can sell them to groups commonly referred to as “coyotes.” These are local middlemen who pay the farmer a fraction of the local value of the beans, pick up the beans at the farm, transport them to the processing facility, and sell the beans on the local market. This option provides the farmer with immediate money for his coffee, but the farmer will receive much less than the full international market price he would receive if he were to transport the beans himself. 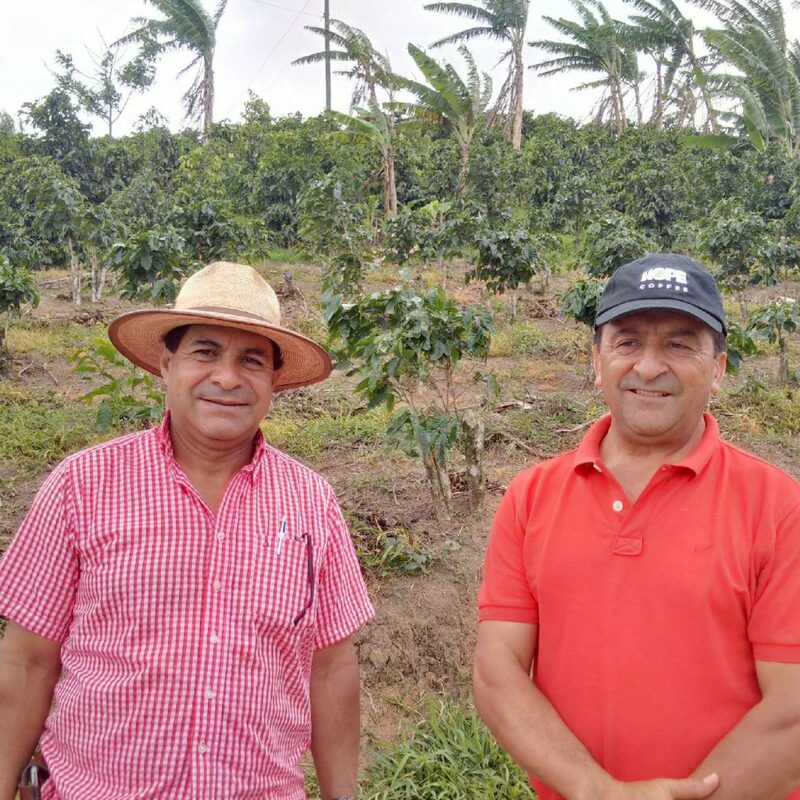 Rodimiro (left) and Nelson (right): Two of the Direct Trade farmers who grow the Honduran line of HOPE Coffee. 2. They can sell them to a local farming co-op, either transporting the beans to the processing facility personally, or allowing the co-op to come and pick up the beans each day. While they are sometimes able to get a partial or full payment of the international market price upfront, the farmer is still responsible for the costs to process the coffee, and at times additional fees to the co-op, as well. 3. They can deliver their beans in person to a local processing facility and wait for an international buyer. Most coffee buyers in the United States and abroad contact coffee processing facilities when they have need for coffee, describing the type, quality and quantity of coffee they are looking for. Eventually, a buyer will be matched to their particular quality of coffee. While the farmer will receive the international market price (which is typically lower than the established “Fair Trade” price) they must wait to receive payment for the coffee beans until the coffee is paid for by the buyer, which can take weeks or even months. Because the farmer is responsible for the cost of the coffee processing long before they will receive payment, this may mean additional loans. In some cases, the cost of processing could be deducted from the farmers future payment once the coffee is sold. 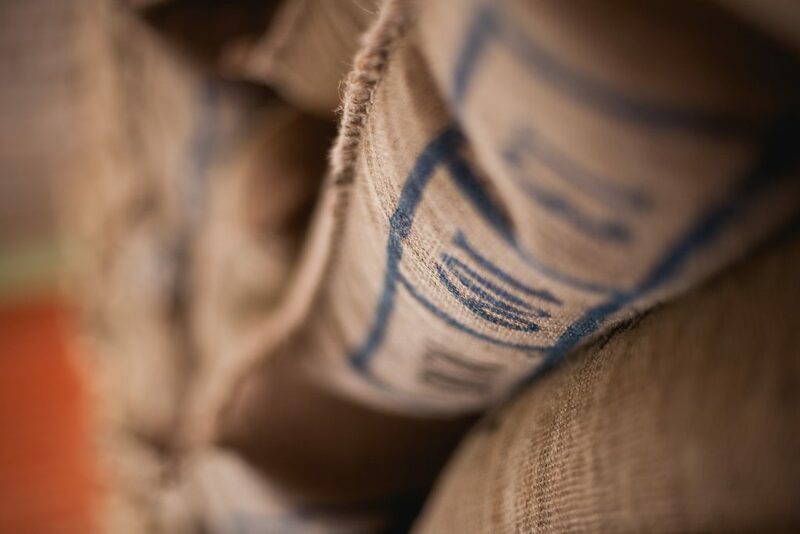 Coffee beans processed, bagged and ready to be exported from Honduras to the U.S.
Once the beans arrive at the processing facility, they are weighed, depulped, dried, sorted, cupped (tasted), rated according to quality, processed and packaged for export. This entire process is often a gamble. There are many factors including weather, disease, bean quality, processing costs, current market rates for coffee, interest rates and time spent waiting that can easily wipe out any and all potential profit, no matter which of the above options the farmer chooses. The concept of Fair Trade is perhaps the most widely-recognized response to this harsh reality. 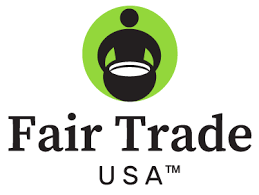 Fair Trade USA, who is overseen by FLO (Fairtrade Labelling Organizations International), dictates Fair Trade standards in the United States. The goal is to enable coffee growers to earn a guaranteed price per pound of coffee beans. Additionally, $.10 per pound of coffee purchased through FLO is also paid by the buyer to fund community and business development projects in the countries where the beans were grown. These projects are intended to improve education, sanitation and even healthcare in these impoverished nations. The concept itself is undoubtedly admirable. Not only will the coffee farmers receive a fair price per bean, but their local communities will also see improvements. However, there are numerous obstacles the grower must navigate in order to be eligible for a fair trade program. For example, participation in the program is limited to only very small farms. 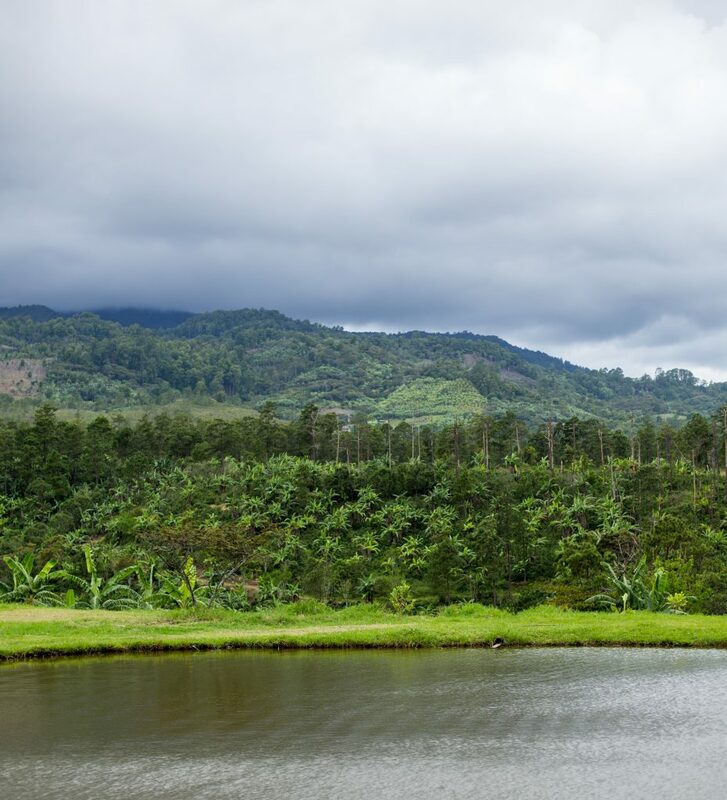 Furthermore, those farms cannot operate independently as they are required to be part of an established co-op with other small coffee farms. This means there are a host of coffee farmers who will never be considered for a fair trade program, regardless of their other qualifications, including independently operated farms, and those who have inherited a larger farm. The requirement could actually even discourage a farmer from successfully expanding his farm! Additionally, the co-op is required to pay a substantial fee upon acceptance into the program—a fee most coffee farmers cannot afford. On top of this, in order to keep these fair trade prices high, FLO limits the number of participating farms, which means that even if a coffee grower meets all of the conditions and can pay the entry fee, they are still unlikely to be able to sell their beans as part of a fair trade program. Even if a farmer is accepted into the fair trade program, they still may not receive the full guaranteed price per pound. Because the guaranteed rate is paid to the co-op, the rate may or may not be passed along to the actual coffee grower. In many cases there are no price guarantees whatsoever to the individual grower, nor wage guarantees to workers. In fact, many times the workers will still receive less than local minimum wage standards, even while employed by a fair trade farm. In most fair trade cases, the coffee buyer has no knowledge of the farmers or pickers who grew their coffee, and no ongoing relationship with them. While Fair Trade USA and FLO have been very successful in turning the world’s attention to the plight of coffee growers, the program has been largely unsuccessful in significantly reducing poverty among coffee growers. To learn more consider reading The Taste of Many Mountains by Bruce Wydick. While the concept of “Fair Trade” has evolved into an organizational system of regulations, the newer concept of “Direct Trade” simply describes the relationship between the farmer and the buyer, with the third party regulatory committee removed completely. In a direct trade relationship, the coffee buyer literally has a direct relationship with the coffee farmer. Instead of purchasing coffee beans through the fair trade regulators, or purchasing a particular quality and quantity of beans from the coffee processing facility in the growing countries, coffee companies purchase beans directly from the farmers. 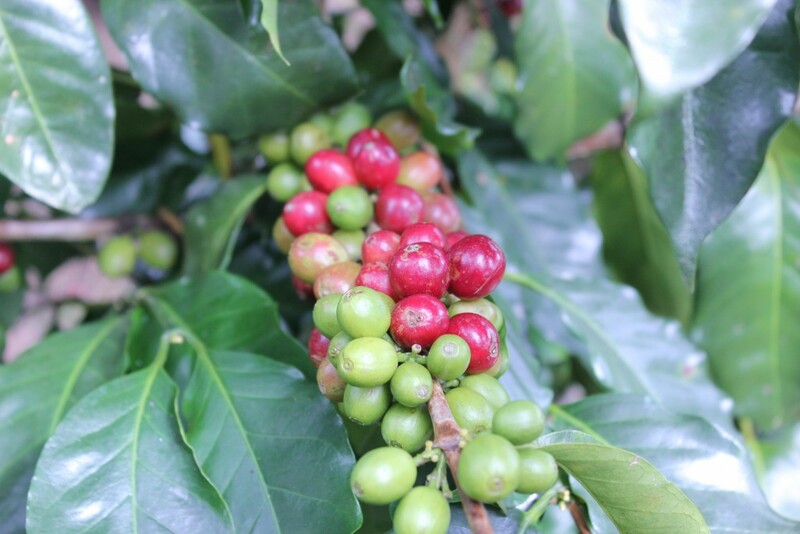 Coffee beans ripening into cherries. The first obvious benefit of the direct trade model is the tremendous cost savings of removing the fees associated with the third party. By purchasing directly from the farmer, the cut for a coyote, the reselling fees of the processing facility, and the cost associated with fair trade certification can all be added back into the potential profit for the coffee grower, who it turns out, can actually make a higher profit without the help of these third party regulators. The direct trade model also empowers the farmer, who for so long has been powerless in the coffee industry. Suddenly, they are able to communicate directly with the buyer of their coffee, and proudly represent their own product. No longer at the mercy of the coyote, or waiting in anticipation for someone to select their particular grade of coffee from the processing facility, they now have the security of knowing that they will earn a profit from their year of hard work. They will be able to pay their workers. They will not be burdened with crushing loans from their local bank. Because there is no formal “Direct Trade” certification process, it can be difficult to determine whether a coffee company is actually participating in a direct trade relationship with its farmers. When choosing a direct trade coffee look for companies that know the names of their farmers and exactly where their coffee comes from. Look for a coffee company that is proud to share photos and information about their farms and farmers with their customers. 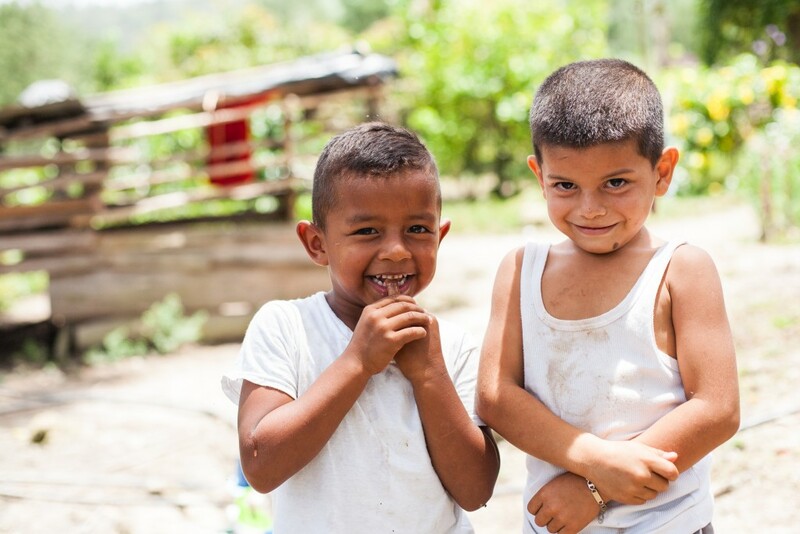 Two boys play at their home near coffee fields in Agua Salada, Honduras, where their fathers work as pickers. In 2018, these boys and their families received bathrooms and clean water filters as a result of HOPE Coffee hearing about the need through farmers and pastors in the area. 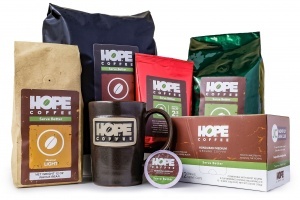 HOPE Coffee first began as a ministry of purchasing coffee directly from local coffee farmers and then selling their beans to fund service projects for families in need in their communities. All these years later, our responsibility is still to the farmer, and the end goal is still to serve people in need in these countries. We know these farmers personally and have ongoing relationships with them. By purchasing coffee directly from them at a consistent, above Fair Trade price, our farmers have the security they need to expand their farms and hire the picking help that they need. 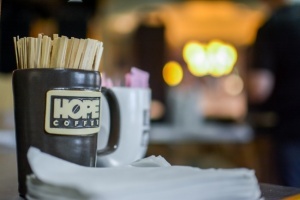 Additionally, HOPE Coffee pays for a portion of the beans up front, allowing the farmer to have the option to pay his pickers without securing a high-interest loan from a local bank. HOPE Coffee also pays for the in-country processing of the beans, once again relieving the farmer of this added cost. These additional steps are almost unheard of in the coffee industry. This direct relationship allows HOPE Coffee to be able to share with our customers the source of their morning cup of coffee. They are able to see the faces and read the names of the people who are the first to profit from their purchase. 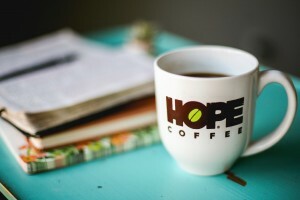 It is through this direct contact that HOPE Coffee is able to minister to our farmers and their pickers as needs arise. One of our favorite parts of this relationship is when one of the farmers or pickers chooses to trust in Jesus! 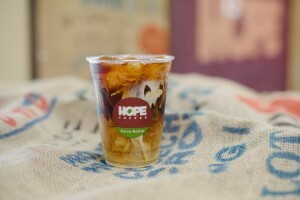 Read more about one way HOPE Coffee is A Coffee That Serves Its Farmers. HOPE Coffee’s farmers understand the impact that their beans can have in their own communities, because they see it in person. 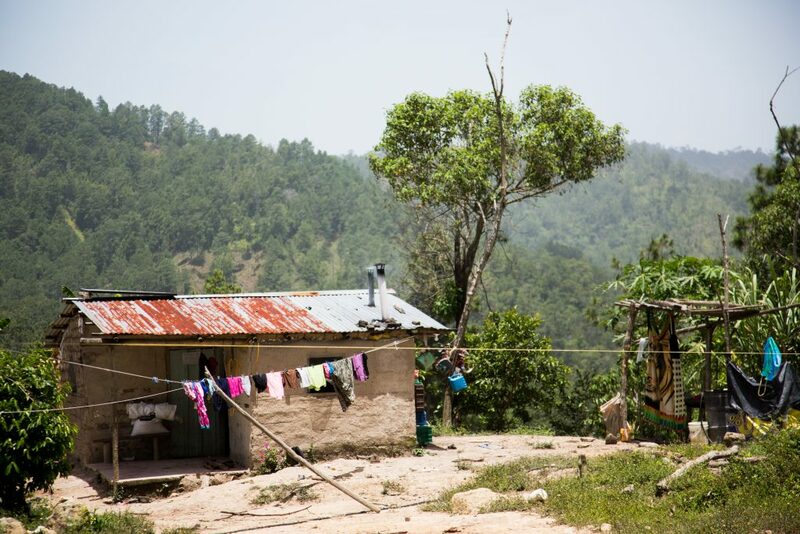 We invest the profits from the sale of their coffee into homes for widows and children in their community, new roofs for families, water storage systems and even clean water filters. All of these projects are facilitated by local churches in these communities, who are able to continue ministering to those in need. 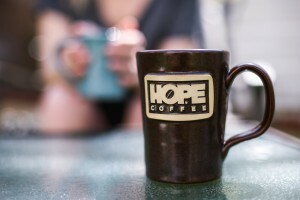 Our farmers are proud to be a part of what God is doing through HOPE Coffee!